The milk industry is having a cow these days, and rightfully so. That old standby for a quick breakfast, the 8-ounce glass of milk that for years was the all-purpose panacea to a mother's guilt trip about eating well just isn't getting the respect it used to. What used to go perfectly well with cold cereal, oatmeal and the irresistible hot chocolate has been unceremoniously replaced in many households with a bevy of plant alternatives. Almond milk, soy, even even coconut milk have found their way into the average North American refrigerator. And it's about to get even rougher for the dairy industry, which for years has been seeing declining sales. Dairy farmers have been able to claim that their product has higher amounts of protein than almond and soy milk (almonds are wonderfully rich in protein and essential minerals, but the highly processed milk isn't). 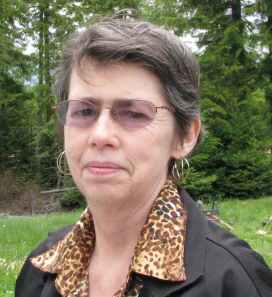 But they are going to find it much more difficult to do so against their latest competitor: Ripple Foods. 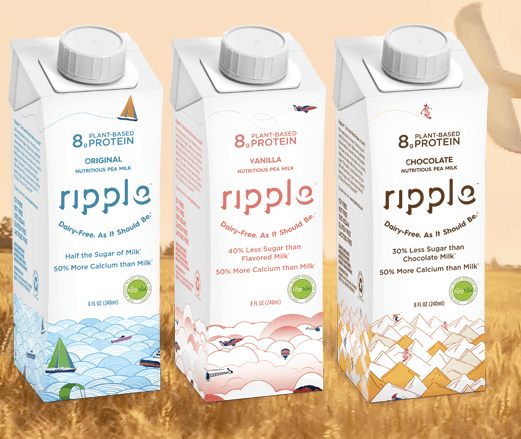 Made from yellow peas, Ripple's milk sports all of the benefits of foods made from legumes. Yellow and green peas are high in protein and fiber and low in fat. It took decades for the milk industry to accomplish that last feat with skim milk, a product some still shun because of its weaker taste. But Ripple has another benefit that dairy milk will likely never be able to match, boast its manufacturers: Low carbon emissions. According to the United Nations' Food and Agriculture Organization, the global dairy industry was responsible for about 4 percent of the world's greenhouse gas emissions in 2010. If you take away emissions associated with meat produced specifically from the dairy sector, notes FAO, the total drops to about 2.7 percent. But that's still a sizable portion of the world's carbon emissions. Yellow peas don't carry that same stigma. They are simple to grow, and according to the company, produce a clean, even tasting product. And foods made from pea isolates aren't exactly a brand-new idea, either. Green and yellow peas have become the latest source for vegetarian/vegan products that can serve as an alternative for people affected by common food allergies and gluten-related conditions. Products like Beyond Meat, which produces both imitation beef and chicken products from pea isolates, have taken a bite out of the meat industry's profits. Ripple it the brain child of two entrepreneurs: Adam Lowry, co-founder of popular Method cleaning supplies, which was sold to Ecover for $100 million and was just recently sold to SC Johnson for an undisclosed amount; and Neil Renninger, who helped engineer the renewable, no-petroleum fuel company Amyris Biotechnologies. From their standpoint, Ripple's creation epitomizes what the food industry generally doesn't do: deep research when it comes to creating a brand-new technology. Of course, they are also capitalizing on the acceptance that many vegetarian and vegan consumers are showing toward plant-based engineered products. It's a hunger for alternative options that isn't likely to fade in the near future, especially for those who may be concerned about the real environmental cost of that conventional glass of milk.